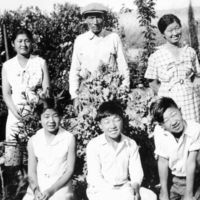 Hatakeda family in their Ivanhoe, California, garden in 1935 or 1936. 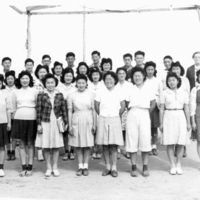 Senior class at Camp Poston in 1944, They are pictured in front of the camp's Sumo wrestling ring. 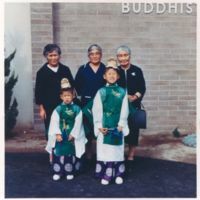 Pictured include Ruri Hatakeda (second from right, front row).